I've been making flower essence blends for 15 years using a combination of training (with the Flower Essence Society) and inner guidance / dowsing. 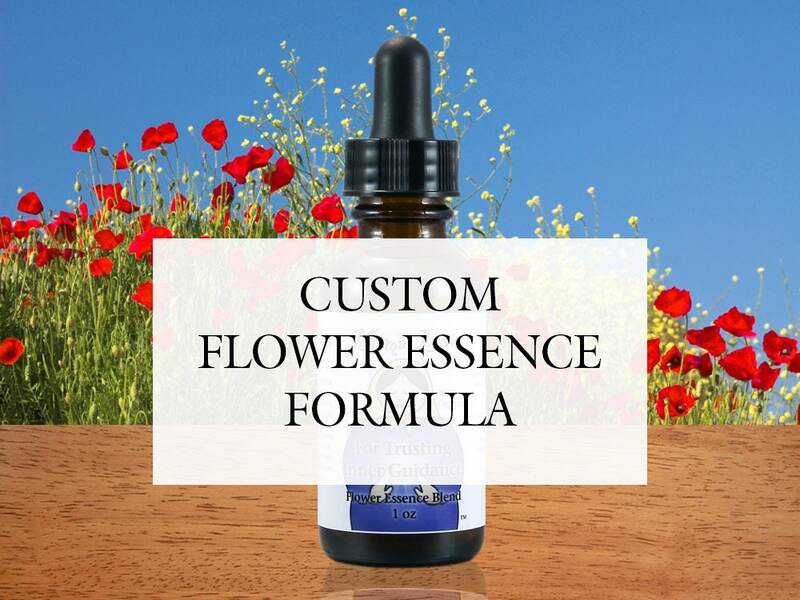 However, if you'd like a custom flower essence dosage strength bottle with 1-5 flower essences in it and know EXACTLY which ones you want, you don't need to pay for a consultation. HOW TO USE IT: Take 5 drops under your tongue or in a glass of water or a favorite beverage 3 times a day every day for a month to help initiate lasting change. You could also add 10-15 drops to a water bottle and sip it throughout the day instead. If you chose a spray top bottle, use 2-3 spritzes around your head and upper body instead. Effects are cumulative over time. I include an information sheet for special circumstances in your order.